It’s that time of year again when we (god I hope it’s not just me) stalk the internet for information on when our refunds are coming. Let the anxiety begin. Yes I agree it is that time again. I remember last year as soon as I filed I received a message within a couple hours that the IRS had accepted mine not this year. I'm not expecting to be accepted this soon just noticed it was different from last year. Last I also filed a week prior to when the IRS was going to officially open. I filed my taxes with tax act on 1/20/2019 pending! LOL I only filed early because I had time this weekend to finally do my taxes and I never remember to pay attention when the IRS starts accepting them! We will see what happens! Just an update: My return was accepted by the IRS on 1/22/2019! Yes mine was too!! Thanks for sharing!! This is the first time this has happened do i have to call the irs? I have read that people got updated today with DDD of 1/28/19! If you forgot something on your return or need to change anything on your return for any reason, and you have already e-filed your return. Then do ***NOTHING*** at this time. You ***HAVE*** to wait. If your return is rejected, then you can just add what you forgot and/or make any changes necessary and submit the return again by clicking that big orange TRANSMIT MY RETURNS NOW button. *DO* *NOT* *EVER* amend a rejected return. ***NEVER***. If your return is accepted, then you still need to *WAIT* until the irs has processed your return completely and entirely. Your return is not processed in it's entirety until you have physical possession/control of your refund. Once your return has been accepted ***AND*** processed, then you can file an amended return. 1) Any amended return can NOT be e-filed. The IRS says so. For an amended return you have to print it, sign it (both the 1040 and 1040X) and mail it to the IRS. 2) Understand that an "AMENDED" return is only to change a return that has been ACCEPTED by the IRS. If your return is NOT accepted and you click that AMEND button, the bottom line is, you are screwed and it's *YOUR* fault. The mess created can be fixed. But it will be a nightmare of having to call telephone support and being on hold for what could very easily be hours, during the tax filing season. 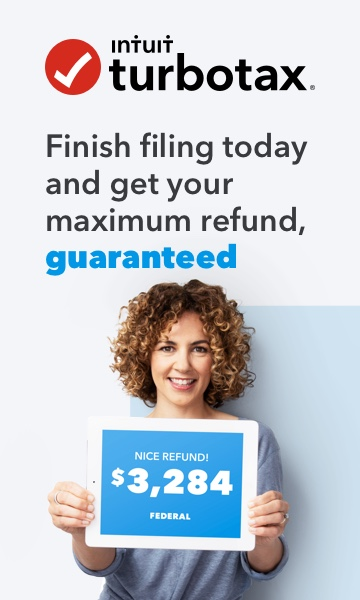 You'll have to deal with hangups/disconnections and whole lot of other crap, and it's *YOUR* fault for clicking that AMEND button on a return that the IRS did NOT accept.